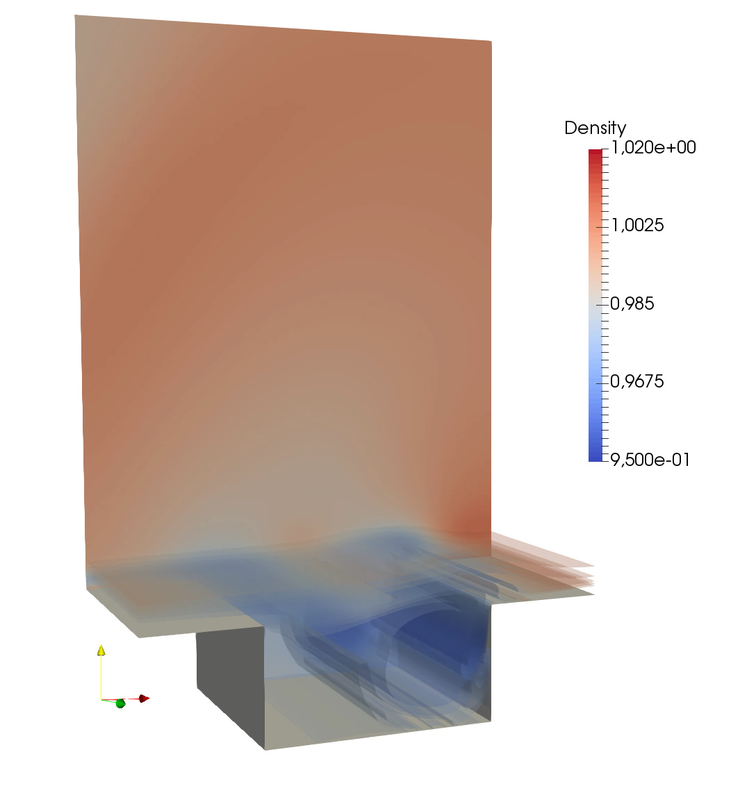 in this project we investigate the influence of uncertain parameters on compressible flows with special focus on Aeroacoustics. This research project is funded by the Baden-Württemberg Stiftung within the project HPC II. Aeroacoustics studies the noise generated through pressure fluctuations in a flow field. In the automobile industry the main aeroacoustic noise sources are the side mirrors and small cavities such as door gaps. The exact configuration of these objects and their physical environment are always, to some extent, charged with uncertainty. The aim of Uncertainty Quantification (UQ) is to quantify the influence of uncertain input on numerical simulation results. In this project we use Monte Carlo and Polynomial Chaos methods to quantify and examine the influence of uncertain model parameters on the development of tonal noise.